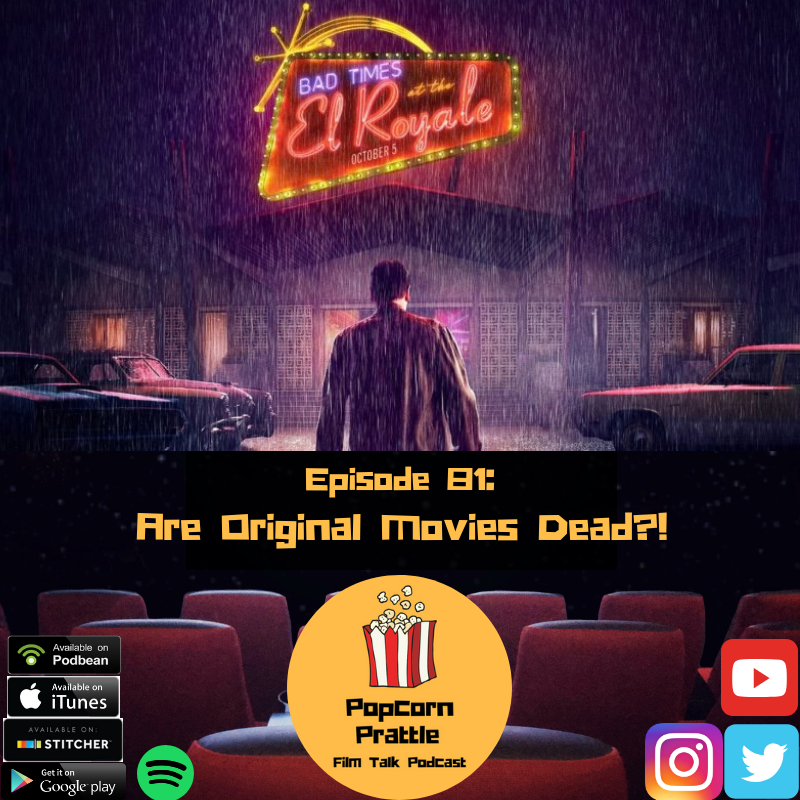 Episode 81: Are Original Movies Dead?! Are original movies dead? Why do huge franchises seem to be more successful than original movies? The Popcorn Prattle crew changes the format of the show and tries to answer this question! Like the new format? Leave a comment or send an email and let them know what you think! Is Shazam the New Face of DC? Does "Us" Put 5 on It? Does Captain Marvel End the War? Episode 88: Does Glass Break Super Hero Movies? Episode 87: New Year, New Films! Episode 85: Does it Start With Her? Episode 83: Can God Save The Queen?! Episode 79: Henry Cavill is Superman...No More?! Episode 78: Joker is so Kawaii!